My Football Academy books are about a Premier League under-twelve side – about what it’s like to play the game at the top. Buy the set from Amazon here. Teamwork is the prequel to my 100,000 selling Football Academy series, published by Puffin. Before Jake, Yunis and the other United U12s play against the top teams in England, they are taken on a club trip to the Bernabeu to play the mighty Barcelona. But – with the team struggling to get on off the pitch – how will they get on on the pitch. And who is the small footballer with the number 10 on his back who seems interested in watching Barcelona v United. Free to Kindle Unlimited, RRP 99p Read it now here. Experience life as a Premier League academy player. Follow United FC through a season where they have to play at Liverpool, Chelsea and against Real Madrid. And find out who makes the grade: and who doesn’t. Ryan is the team captain – so why does he bully his team mates? Yunis is the star player – so why does his dad want him to give up football? James is the son of an England international – so why does he start making terrible mistakes? 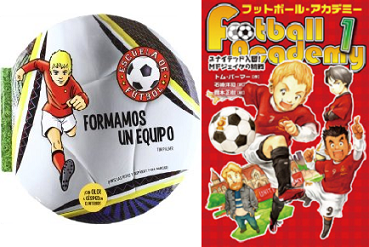 The Football Academy series is illustrated by Brian Williamson. Read more about the players here. 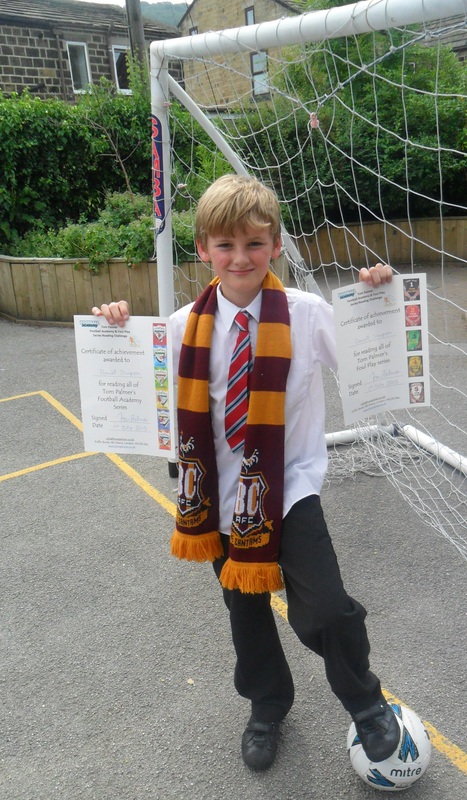 I have certificates I can sign for readers of all my Football Academy series. Tell me here if you’ve read the whole series and you can receive a special signed certificate. Includes six posters with new ideas to encourage reluctant readers to read for pleasure, featuring real reading boys from across Britain, Ireland and Australia. Based on the Football Academy series. Read “The Scout ” – How Ronan and Connor from the Football Academy series came to join Premier League United here. It is a free story written for the National Literacy Trust. So Tom went to his nearest football club, Burnley FC, now in the Premier League. He asked if he could watch the under twelve’s play to give him some ideas. 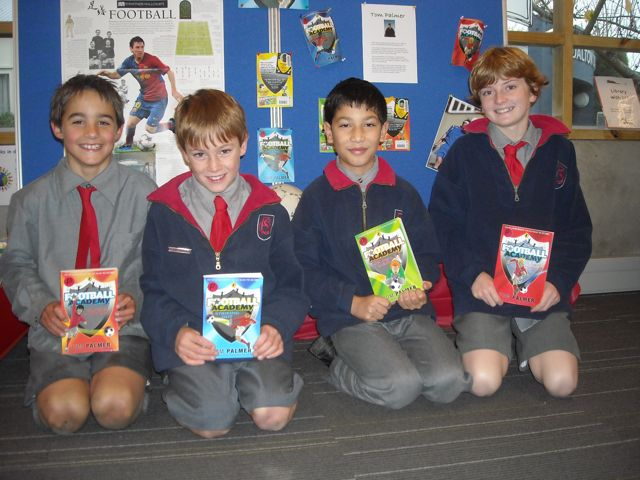 Pupils at Fendalton Open-Air School in New Zealand have been reading Football Academy. You can read Sam’s review here. Tell me here what you thought about Football Academy.